You have to imagine that the red speckle thing is on top of the coffee table. Are you imagining yet? So right about this time my mind goes into over drive. What in the world could these two be up to? 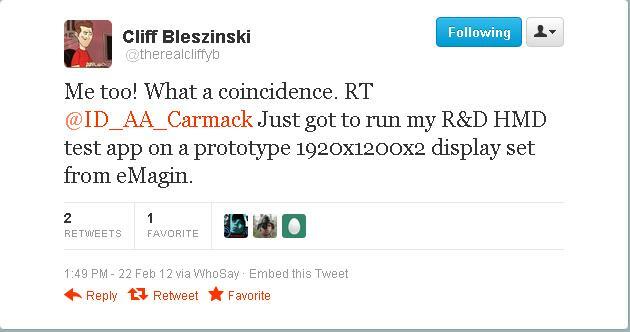 John Carmack alone wouldn’t be enough to guess at anything, that dude builds rockets and solves game physics-engines during his spare time on the weekends. It’s not completely out of the norm for him to have mad scientist gear. But the inclusion of Cliffy B changes things a bunch. Epic games isn’t going to be doing anything with Google, are they? I mean, if they were, chances are we would have seen Infinity Blade show up on at least one Android device, right? Nah, my money is that Epic games is backing MS for the console and Apple for mobile. Google isn’t even in the picture. So that left only one choice for me. 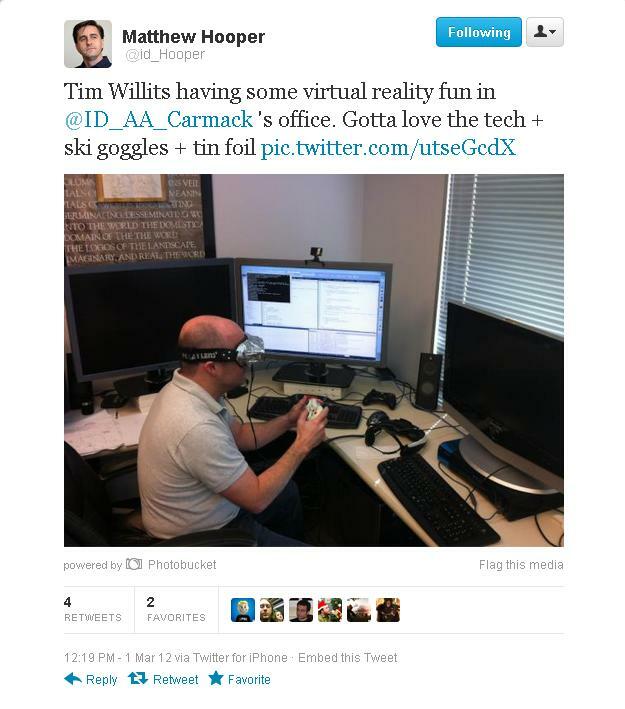 This head mounted display is probably coming to Xbox. But how can I be sure? As is, these don't look particularly suspect. Eh? EH? Come on, that’s a pretty sweet narrative right there. But, so what, this still doesn’t call the Augmented Reality part. True. It doesn’t. But Microsoft is ALL IN on Kinect. And while Kinect could help construct a virtual reality on top of your existing furniture, realistically most people don’t have room to pull this off. At least from my point of view, the #1 complaint with the Kinect is amount of room needed to fully use the Kinect. 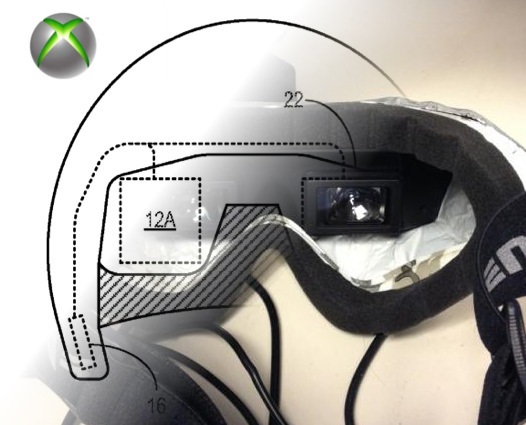 So, how I envision it’s use is that the HMDs are transparent and you could have the in-game HUD show up in the Head mounted display. Or what would be really cool, is because Kinect knows your surroundings via the depth camera, you could have in game characters come out of the TV and stand on your coffee table. Again, this is complete speculation but it was fun putting a bit of a story behind the patent discovered on Engadget. And for all we know, it could just all be a coincidence. I’ve been following this too. 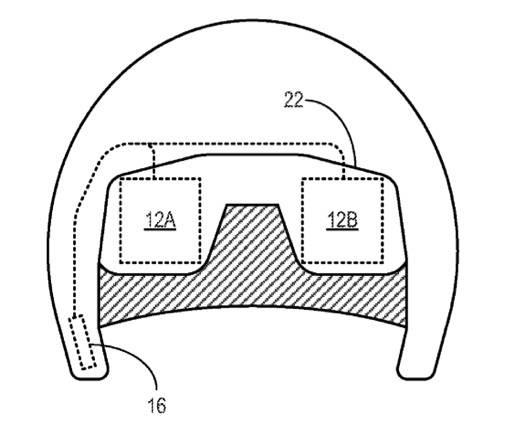 The patent clearly shows the HMD being lasers bounced off of a pair of clear(ish) lenses, leaving your vision free to see behind the projection. 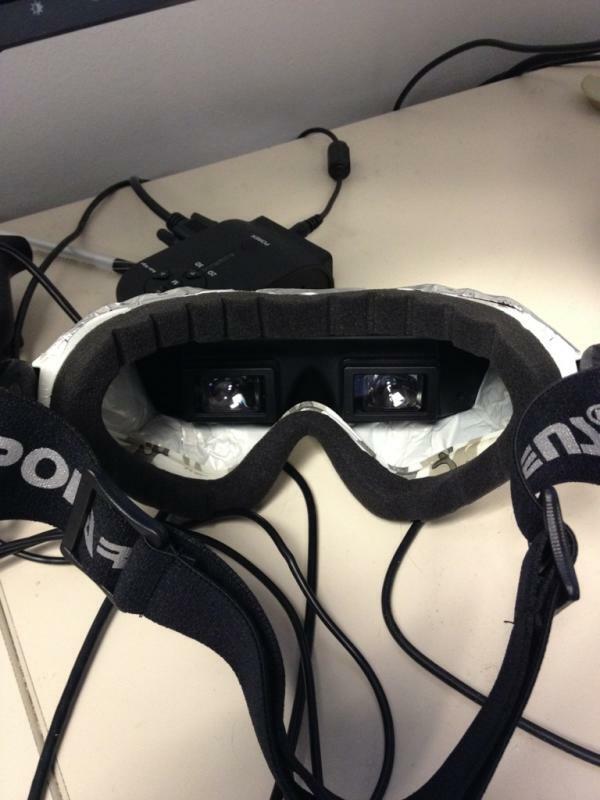 This can be used for VR and AR, in my opinion. Oh, and that Xbox 360 controller cord most likely goes to that Xbox 360 debug kit under that monitor.